Your walking tour is about more than just the dead- you will learn the about the burial customs, traditions, and people that made New Orleans what it is today. Take a walk with us through New Orleans history seen through the eyes of those that have left us. Unique NOLA limits the number of people on a tour to 15- making it a more personal journey for you and your group. 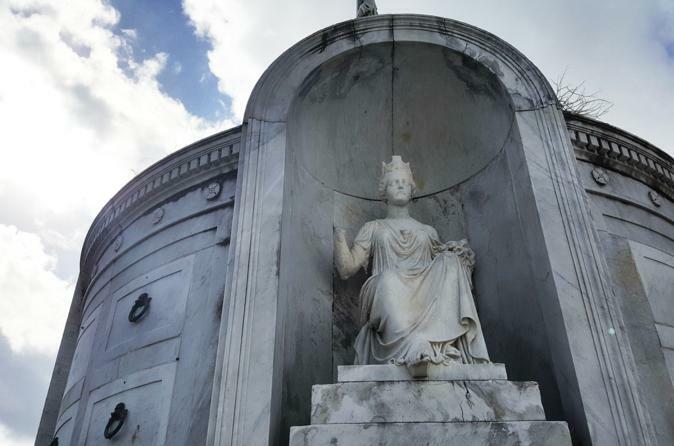 New Orleans’ Cemeteries offer more than beautifully ornate tombs- they are steeped in history both wicked and good. Created in 1789, St. Louis Cemetery #1 has stood for more than two hundred years, and within its maze lies the monuments of stories of New Orleans most famous- and infamous- residents. Tour ends outside the cemetery gate, your guide will help with directions to your next destination.